Tommy Pham got 4 hits, two of them homers including a 2 run shot in extra innings to give the Cardinals a 6-4 victory in Atlanta. Scott Feldman threw a complete game 4 hit shutout, striking out 5 Giants and earning the 4-0 decision for the Reds. Sandy Leon hit a pair of 2 run homers and helped the Red Sox break open a close game into a 17-6 blow out in Minnesota. Luis Severino struck out 9 Cubs in 7 innings, allowing only 1 run. He did not get the win but the Yankees topped the Cubs 5-4 in an 18 inning marathon. When baseball season is over and we have nothing to look forward to except a long, cold winter, who doesn’t love watching a team get the Hot Stove going with a huge splash via trade or free agency? Nobody, that’s who. Even if it negatively impacts your favorite team, it’s at least entertaining to hop on social media and watch everyone freak out for a short period of time. But as we’ve seen over the past couple winters with the San Diego Padres and Arizona Diamondbacks, the offseason winners don’t always end up being the actual winters in October. Actually, it seems like that almost never happens. There’s nothing wrong with going after top-tier free agents once winter rolls around – especially if a team has a glaring need at that particular position. Sometimes it seems like a no-brainer, but it’s not that easy. The smaller deals that don’t grab as many headlines for one reason or another can end up having just as much – or even more – of an impact on a team’s ultimate success or failure in the following season. Here are six free agents from last winter who mostly flew under-the-radar compared to other higher-priced ballplayers, but have worked out very well in 2016. 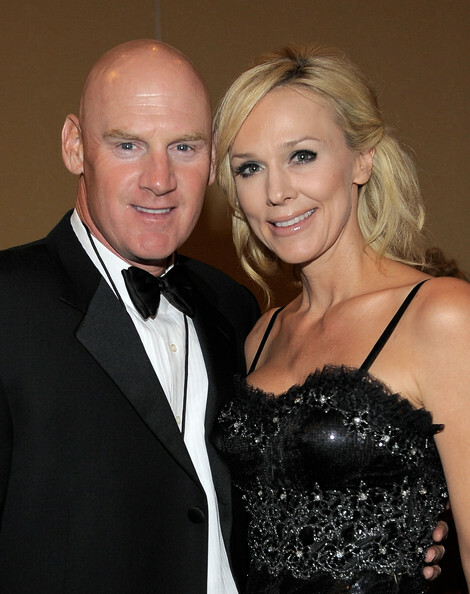 Matt Williams will be announced as the teams new skipper upon the World Series finishing. The City of Washington will hope that Williams can press the right buttons at the helm of this ship. Included in his responsibilities,putting the right young players of the organization in a chance to succeed. Much will be written this offseason about who the Nats should sign, trade for and hire. I’m not one to beat a dead horse, so I decided to look for an angle. 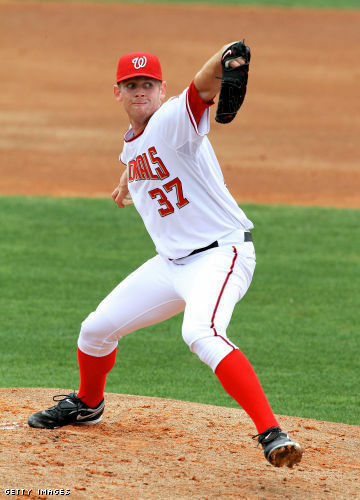 Since the minor leagues are what I know and love, I’ve compiled a list of players in the Nats organization who are not on the 40-man roster who I could see adding value to the 2014 Nationals. I’ve also decided against including top prospects like Brian Goodwin or A.J. Cole, as both would be obvious picks. 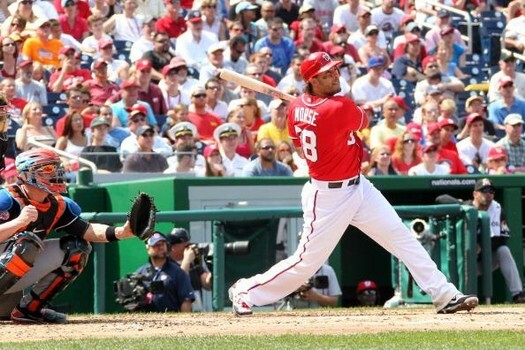 The Nationals failed to meet expectations as the Preseason favorites to lock down the World Series in 2013. Heck, they didn’t even qualify for the playoffs. Whether it was injury, or complacency, the talent of this team didn’t maximize their potential this year. 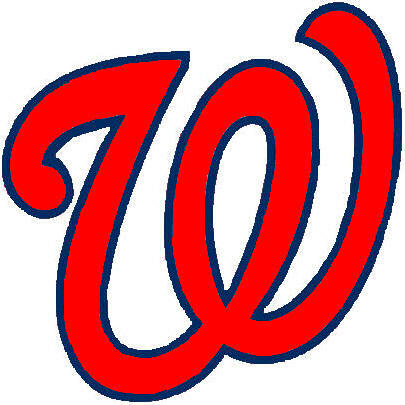 However, the club did go 24 – 12 in their last 36 Games Played, and made a late charge at the 2nd Wild Card Spot in the Nationals League. Most of the nucleus is coming back for the 2014 year. Here are some priorities for the winter. There are moves that can be made without a new manager in place, but this is the most important thing the Nationals have to do this off-season. Not having the leader of the team will make all the other moves more difficult. Players want to know who they are playing for and the manager is going to have a lot of input into what free agents the Nationals go after for the bench and bullpen, which happen to be their two biggest needs personnel-wise. It is also important to get the new manager in place early so that he has an entire off-season to communicate with the players already in the majors and to familiarize himself with the system and the minor leaguers that could help during the season. 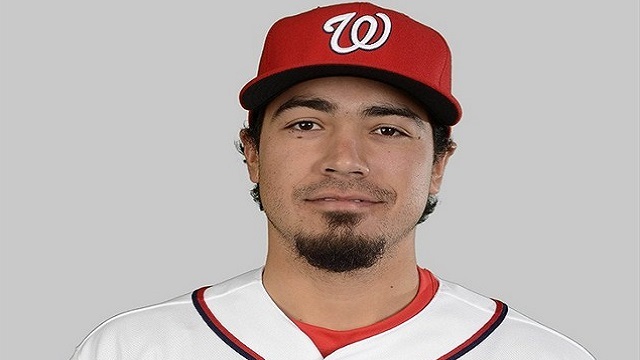 Anthony Rendon was selected 6th overall in the 2011 MLB Amateur Draft by the Washington Nationals. In his limited time with the big club, he struggled at the plate, (.182/.308/.227 in 26 Plate Appearances) – while he also made 3 Errors in the field in just 22 Chances. Still the future is bright and Rendon could certainly play his way onto the Roster later in the year. He is TRENDING STEADY. When I put together my top 15 prospect list for the Washington Baseball Annual, I knew it was a bit risky. Only five of the top ten were not injury risks before the season, and out of those five, two have already been injured this year. Through the first month of the season, the top part of the Nats’ farm system has been similarly mediocre to the Nats in general. 1) 3B Anthony Rendon – I didn’t think we’d see Rendon in the big leagues this soon, but he was the first call when Ryan Zimmerman went down with a hamstring injury. Rendon put up a nice .292/.462/.500 triple slash in 65 Harrisburg Plate Appearances.